AdSense Showing 403 Forbidden Error: Here's How to solve it! Getting a Google Adsense account is too tough nowadays. And even if you get an approval, struggling with 403 Forbidden error is a next headache. In this post, I will cover up how to solve this issue. I am covering this issue after my website Online Rockers Hub stuck with a 403 Forbidden error. When do you get 403 Forbidden error? Why does this 403 Forbidden error occur? 403 Forbidden error occurs mostly for new AdSense users. Users whose AdSense application was initially rejected and later got approved on reapplying will get this error mostly. You would have even received an Adsense approval message just like the one below saying that ” Your account has been approved and ads will go live within few hours”. This occurs because your application was rejected initially. So Adsense crawlers will be instructed not to deliver ads to your website. But later you have reapplied and got your account approved . But, Adsense crawlers may not be instructed about this approval. This is probably a technical error at Adsense server. The first thing you will have to do is, check if your AdSense code is exactly same as the one created at your Adsense account. You can get the AdSense code on your page by right clicking -> view page source ( Ctrl + U) . An HTML page will open. Use find option and check if the AdSense code is same. Now go to Adsense account, Click the Gear icon -> Settings -> My sites -> Manage sites and add your website. Click the three dots icon and select authorization and check if ” Only Authorize my verified sites to use my ad code” is off. Certain hosting services like Namecheap would have a mod rule applied. If you report them this issue, then they will whitelist your domain. If your website uses CloudFlare , then you must make sure that you switch off the Rocketscript . Because Rocketscript will break AdSense code from displaying. Go to your CloudFlare account, go to Speed tab and check if the Rocket Loader is Off. Now, move on to Google Adsense forum , and create a new thread stating this issue. So that, experts can check if your site has any other problems. Visit Adsense Troubleshooter and then fill up the questions asked. So that, you will get an opportunity to file a ticket. Now, an AdSense Officer will directly contact you through email. Now, he will check out this issue and he will manually approve your account and then ads will start displaying within 24 hours. Some genius will try to go to step 6 directly. Let me tell you,why you should not go to step 6 directly ? These 5 steps are common steps followed by AdSense experts to resolve this issue. If you directly file a ticket and explain Adsense officer, then he will give ask you to do them one by one. However, each of his replies will take hours. Why do you need to waste your precious traffic just because of silly ideas? So go to step 6 only after finishing the remaining 5 steps. Really a big solution. This problem is happening with my few co-bloggers and I was very eager to know about the cause of this error and at the mean time you posted the solution. Great thanks to you Nirmal Sir. Thank you Nirmal, lots of new adsense user facing this kind of error but no one explains how to solve it.. Thanks for writing this post..now my ads are showing by following your guide line. Fantastic Article. Today most of the newbie bloggers who have applied for adsense are facing this issue. I hope that This article really help them a lot. Great Job Nirmal. Nice post Nirmal but I am using ads optimal on my blog for the advertisement. Can you please prefer, which one should I go Adsense or Adsoptimal. To earn nice decent income. Adsoptimal is a partner with Google Adsense , Double Click etc. 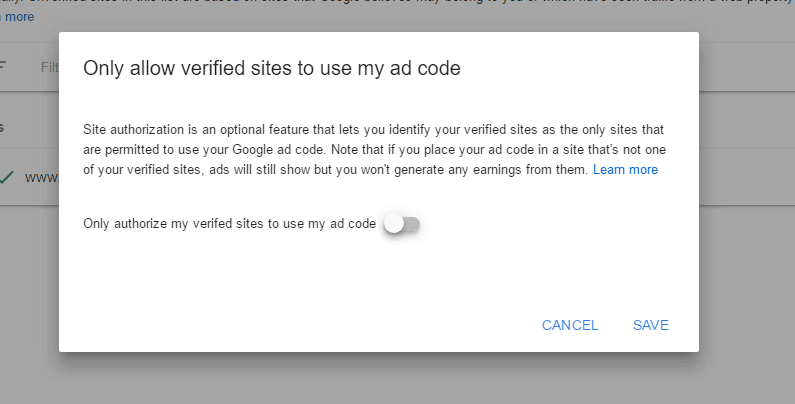 So, you can use Double Click to use both Google Adsense and Adsoptimal . Using this, you can display targeted ads to your audience. This, will increase the number of clicks and makes you a decent income. Thanks for the valuable review about 403 forbidden errors. I have a question. 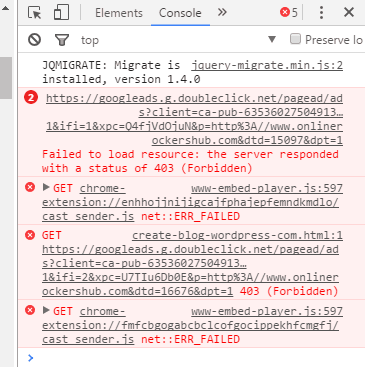 403 errors will only occur if it rejects by AdSense ? Why am asking this because I have the same error on my blog which is showing as a crawl error in my search console account and it seems that it does not belong to the error from AdSense. Something else. What do you think ? If you have a crawler error, first check with your robots.txt file. Try placing this following code in robots.txt file of your website. Very good posts and recently I also seen this issue to my new Adsense account. Thanks for share this valued article. Thanks you Nirmal, it’s Fantastic Article and useful for all the blogger and user who use google absence and facing this type of problem. Hi I got adsense approval on 13 june and it is more then 7 days still ads are not displaying on my website but still and im not able to contact adsense through email is there any other way to solve the problem? I use my friend adsense acoount in my blog before last 1 year. In presently i want to change adsense account (My adsense account approved presently). can i change my adsense account.? Can you tell me what you experience any discomfort or google gives its approval? My ads were disabled for address verification and I have verified it now but still after 48 hours, I can only see blank ads with is returning 403 errors. None of your solution worked. Sometimes it may take more than 48 hours. Wait for a week otherwise generate a ticket in Troubleshooting. Yes Harsh you are right,i was also facing the same problem but after 15-20 days my ads started showing.Do you have any guide for ads placement Harsh?